The new Apple iPhone X has a renewed design that incorporates an OLED screen that covers the entire front of the terminal. In this way, the company of the bitten apple has reduced the size of its lateral bevels and has removed the iconic physical start button , also known as the Home button. 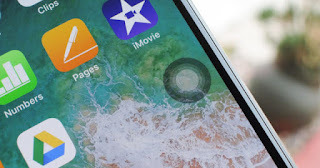 So in this tutorial we will explain how to use a virtual Home button on the iPhone X. In this way, you can continue using the touch gestures and the functions of the traditional start button of the Apple iPhone. 1. Open the iOS Settings app on your iPhone X. 2. Access the "General" section. 4. Activate the "AssistiveTouch" function. You can configure the button with four different actions based on your needs through touches, double touches, 3D touch or keeping it pressed. You can even customize your opacity level. In addition, it is possible to position the virtual Home button anywhere in the user interface of the OLED screen of the iPhone X. If you are tired of using the new touch gestures of the smartphone, you can use combinations with the virtual button. If you press the virtual Home button twice in a row, you can open the multitasking menu. If you use the 3D Touch function on it, you will have the opportunity to open the Control Center. You can configure a lot of options in the AssistiveTouch function of your iPhone X. You can even enable a secondary menu with more shortcuts. Without a doubt, it is a really useful tool for your brand new iPhone X.